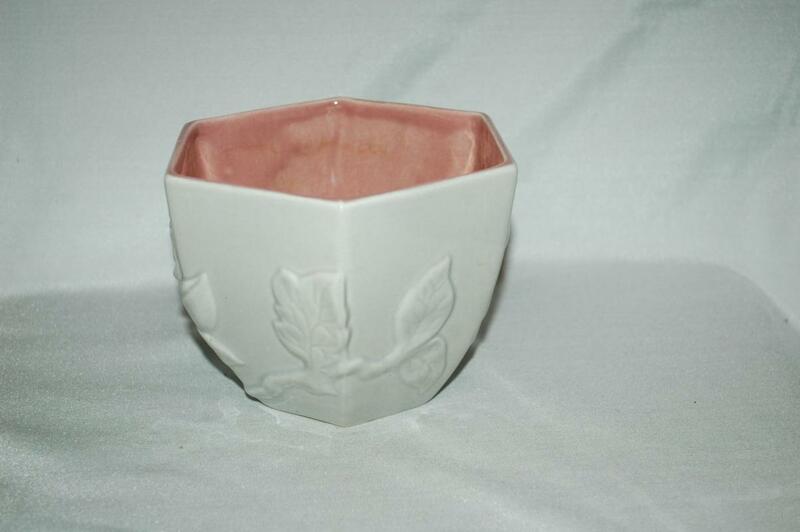 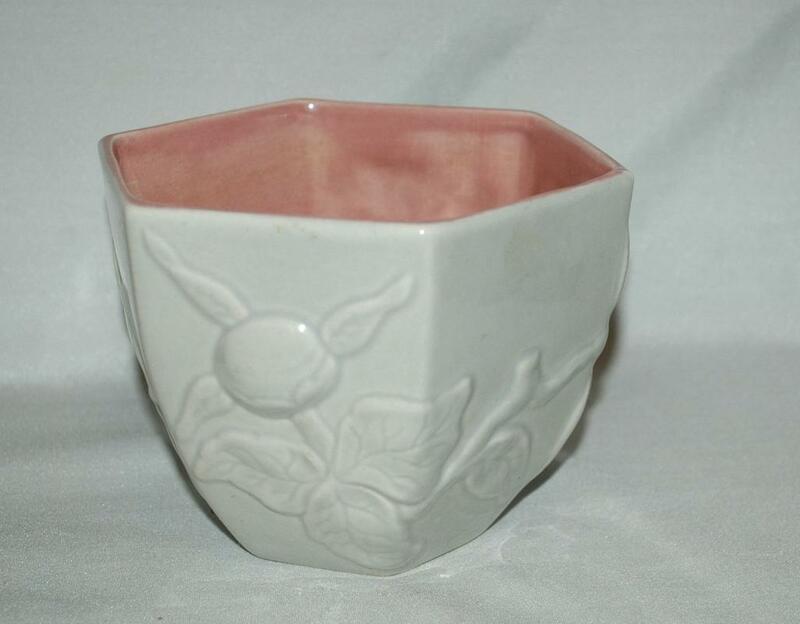 Red Wing Pottery Grey Pink Planter or pot, vase with embossed floral and leaves motif. 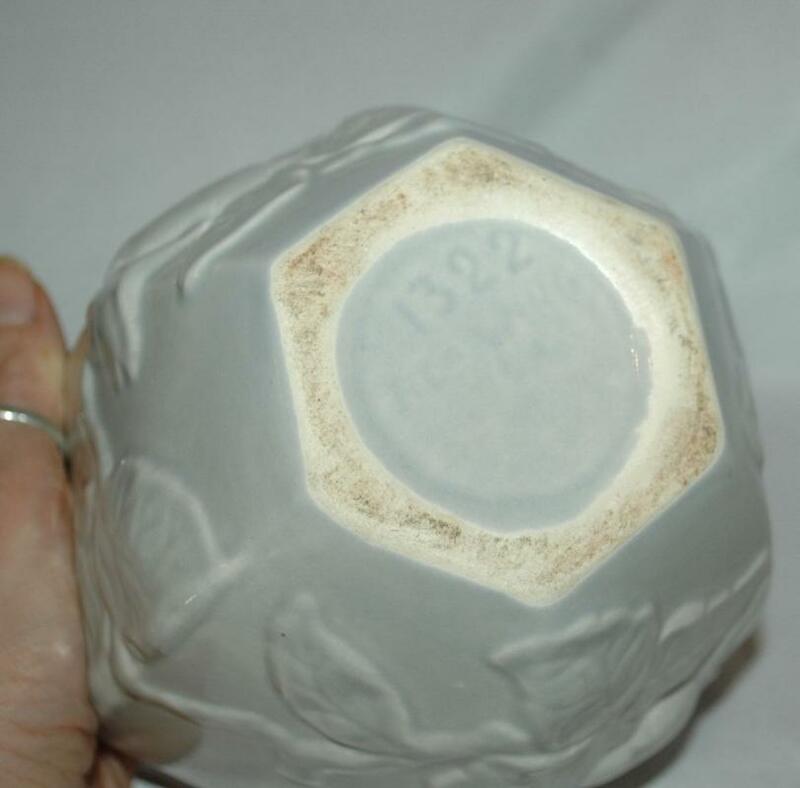 It is hexagonal ( 6 sided). 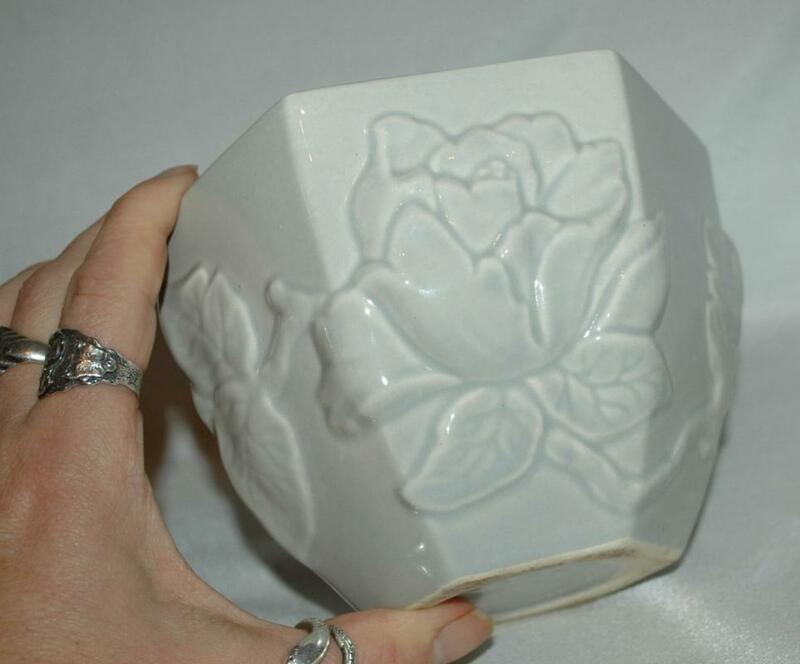 It is 5" across and 4.25" tall. 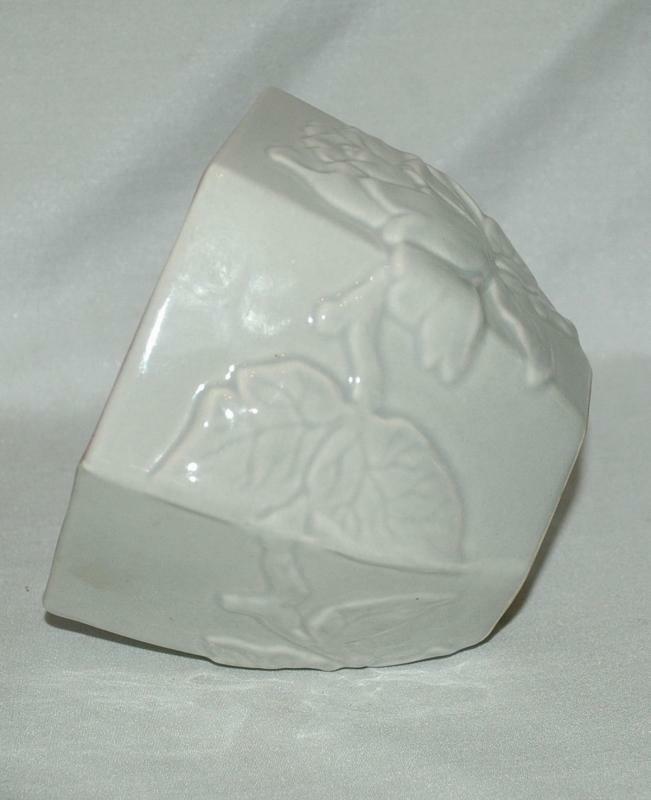 The condition is very good. 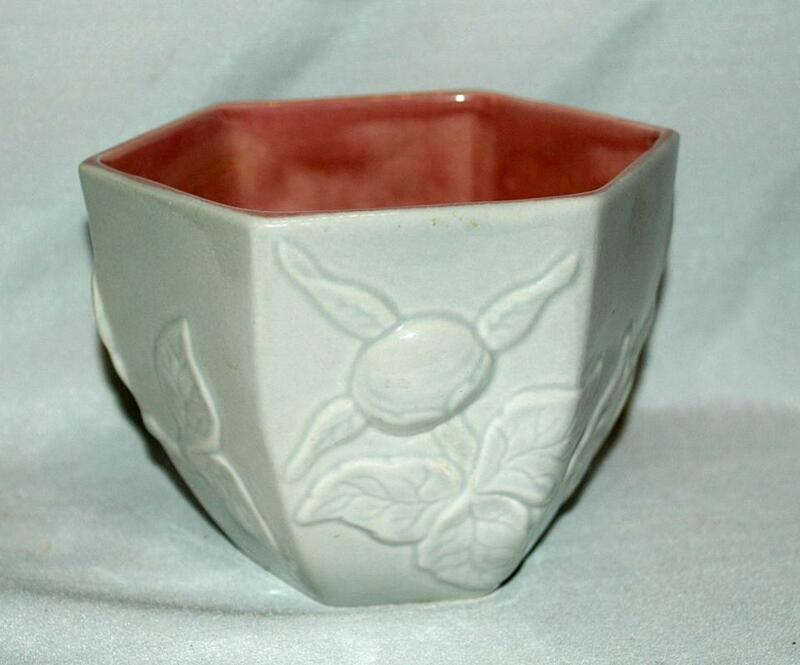 Looks like there is a manufacture flaw on the rim like a tiny nick but it is under the glaze. 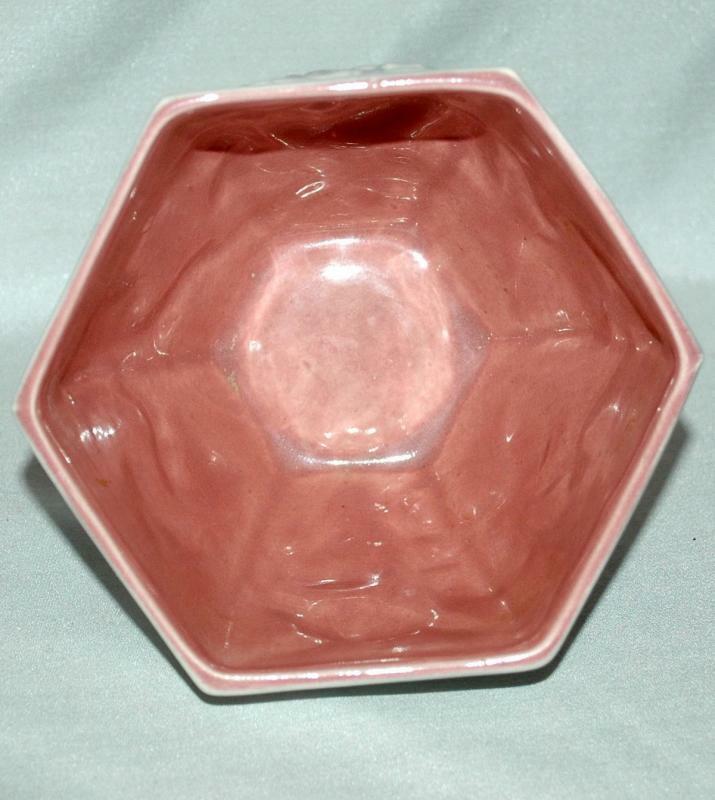 Items Similar To "Red Wing Pottery Grey Pink Planter Hexagonal with Flower and leav..."